The Dubai Duty Free Irish Open will take place in the northwest for the first time in its history next month, drawing some of the biggest names in golf to Donegal and tens of thousands of spectators. 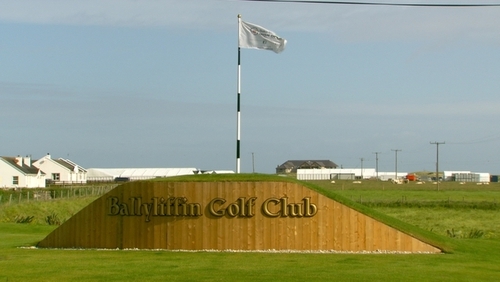 Ballyliffin Golf Club in Inishowen is the venue for the event and for the past six weeks construction crews have been on site putting together hospitality and media tents, player and spectator facilities, as well as car parking and new access roads. General Manager of the club John Farren said that tickets were selling well for the event. He said they were hoping that up to 100,000 people would come to Ballyliffin with the open being beamed into 500 million homes worldwide on television. Support for the competition is huge locally with communities and businesses coming together to paint up homes and premises, organise entertainment and generally getting ready to give the visitors a great welcome. Head greenkeeper Andy Robertson said the course was in top class condition and they were just working on the finishing touches. He has a team of 20 staff, which will be backed up by 33 volunteers from golf clubs as far away as America and Scotland, who will travel for the event. Donegal football team captain Michael Murphy is an official ambassador for the club and the event and he will be taking part in the pro-am competition ahead of the main event. He said his nerves would be jangling but he was really looking forward to it. He said it was a fantastic event for a sport-mad county, especially for younger people who would get the chance to see their sporting heroes in action, creating memories for years to come.